Home > Blog > Articles > Putting On A Show At The Battle Proms This Year! One of the beauties of being an adaptable band is the kind of calendar it creates for us. Our annual schedule carries us all over the country, from one electrifying event to the next, but there’s one performance we’re particularly excited about in 2017. The Battle Proms are taking place once again throughout the summer, and we’re delighted to confirm The Jazz Spivs will be part of the historic event’s 20th birthday party – dressed up to the nines as always! To call playing at The Battle Proms a wonderful honour still wouldn’t sum up our elation at being invited along to the festivities. 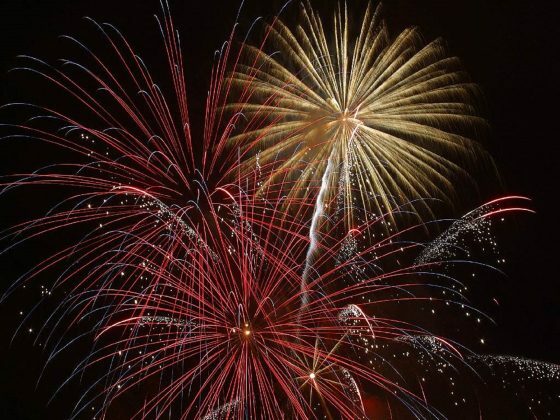 British defiance has always prospered in the face of adversity, and this year’s set of shows will see the country out in full force to revel in national pride with some fabulous music, food, and firework spectacles on display. How did the Battle Proms begin? The Battle Proms began in 1997 as a suitable setting for firing replica Napoleonic cannons that were hogging stockroom space at the English Field Artillery Company –with each shot timed to the tune of Beethoven’s famous “Battle Symphony”! The event ballooned into something magnificent over the course of the next decade, and now takes place at multiple stately homes across the UK, including Lincolnshire, Hertfordshire, Oxfordshire, Hampshire, and Warwickshire. More than 40,000 people were in attendance last year to tuck into their picnics, sit in the sunshine, groove to the music, gawp at the aerial displays, and roar at the booming cannons; this year is set to be no different. The Battle Proms guarantee an incredible experience, which is why The Jazz Spivs are so delighted to be on the roster for this year’s round of celebrations. These gigs give us the opportunity to perform on a unique stage surrounded by fireworks, cannons and cavalry, in front of a lively and varied audience. Putting on a show for an unfamiliar crowd is a challenge all great musicians rise to. Approaching The Battle Proms podium is a thrilling experience for us, and we can’t wait to show each British county exactly what we’re capable of when it comes to putting on a summery, feel-good show. If you’re lucky enough to be in attendance at any of The Battle Proms this year, you’ll see The Jazz Spivs there too, smiling away. We travel the UK putting on super shows every season, and if you’d like to hire a jazz band at your summer shindig, all you need to do is pick up the phone and dial 0800 756 5512 to book. Just make sure you have your dancing shoes ready when the time comes.